Our SSI Dive Center offers you high quality service and the perfect base for a relaxed and safe diving holiday in Bali. Our diving school is characterized by individual training in small groups. 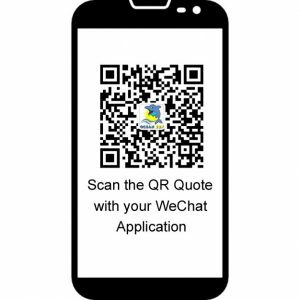 The course is based on the needs of the student, and we guarantee successful courses and fun. Since 2014 we have offered Instructor Training courses, crossover programs or specialty seminars in the resort. The professional education gives you the chance to turn your hobby into a profession. Our competent instructor team can offer you a variety of different courses. From beginner levels till professional levels are available. Ricardo and his father Dieter founded the company 12 years ago. He is an instructor trainer and can train up to instructor levels. His calm nature and professional demeanor are especially appreciated by diving beginners. 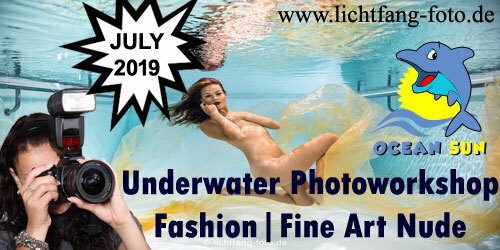 He convinces with precise and logical explanations about diving in each of his courses. Together with his wife Yeni, he is the head in the background of the company and organizes your bookings, tours or other activities. Andy has been working with Ocean Sun for two years.He brings a lot of experience as a diving instructor from Egypt. 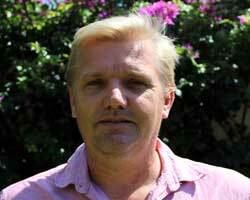 He can convince with a fundamental knowledge of scuba diving and technical diving. 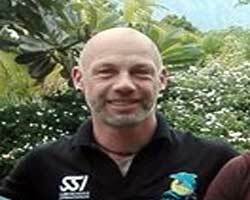 As an SSI Instructor he can train all levels till a Dive Control Specialist.He is one of the few instructors in the region who can teach the solo specialty course. Even as a technical diver, he has now proven himself and helps Ben from time to time in the TechRoom. His strength lies especially in the technical part. He maintenance our equipment and is the contact person for problems with the equipment. Kanci is the good soul in our team. 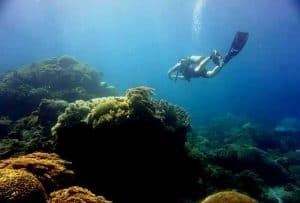 With over 20 years of experience and thousands of dives, he is one of the best dive guides in Tulamben and knows every dive site around Tulamben. He likes to look for special macro stuff and photographers like to dive with him. Kanci has been working for us for more than 10 years and is an integral part of our dive center. Kanci has been a certified dive master for many years and proves his high professionalism every day. 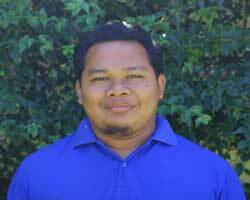 Ketut is one of the most experienced members of our team. 20 years of experience and thousands of dives make him a responsible and safe buddy for your diving business. Ketut knows all the dive sites in the area like the back of his hand. 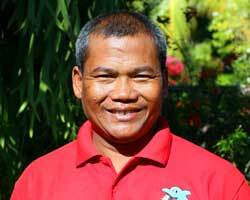 Ketut has been working for us for more than 10 years. 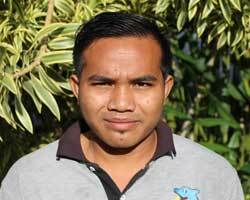 Komang has been trained as a Dive Master and has been a valuable member of our team for a long time. 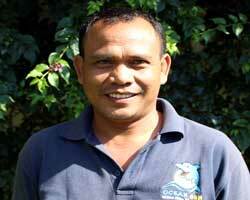 Komang has been working for us for years and knows all the dive sites in and around Tulamben. 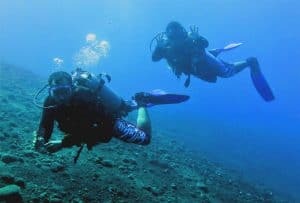 He is a responsible and safe dive buddy for your dive adventure in Tulamben and the rest of Bali. Komang has been working with us for a long time and fills the tanks, cleans the equipment after the dive, assembles your equipment if needed and organizes helpers to carry your equipment to the dive sites. He is already Advanced Open Water Diver and can give you tips and information about the dive sites around Tulamben. 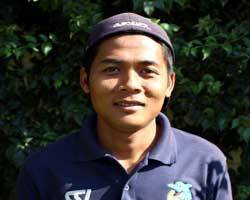 We appreciate his reliability and his calm and friendly nature and are happy to have him in the team. Guests like his calm and friendly nature. He knows the diving area well and is happy to help with information and tips. The SSI Diamond Award honors SSI Dive Center for their professionalism and exemplary performance. These partners offer a top service, exclusive products and great activities around the diving sport. This resort has signed an agreement and is therefore a member of the SSI International Membership Program. All members of this program have adequate liability insurance. SSI Instructor Training Center must meet at least all requirements for a Dive Center or Dive Resort. In addition, Instructor Training Center offers training and career opportunities for SSI Dive Professionals. The dive center is located in the resort area and is centrally located in Tulamben. This allows us to reach all dive sites comfortably in a few minute walk and a flexible planning of the dives is possible. The equipment is carried to the dive sites by helpers from the village. There are 12 liters aluminum tanks with DIN or INT valve available.15 liter tanks in the base available for divers with a higher air consumption. BC’s in different sizes and Scubapro regulators can be rented for fun dives. Our wetsuits are available in a long and short version consisting of 3 mm thick neoprene.ABC equipment, U-lamps, computer, underwater compass and other equipment is available and can be rented if needed. We blend Nitrox for recreational divers up to 40%. You will also find a spacious wet area with three sinks to clean your equipment, sanitary facilities with toilet and showers and enough space for you and your equipment in the dive center. We are open from seven in the morning to four in the afternoon. Of course, our opening hours are shifted if you would like to leave early for the early morning dive or later for the night dive. Our diving school offers you training from beginner levels to professional levels. The diving area is easy and provides various dive sites with the Liberty wreck, the Drop Off and other unique spots. We offer many special activities. There is a sufficiently deep pool available for courses in the resort. A room with multimedia equipment provides the right environment for your theory lessons. There is a fast Wi-Fi connection throughout the resort, and you can use the digital manual and the SSI application.Rental equipment is included at most course prices and is available at the dive center. There is a spacious wet area with three sinks and sanitary facilities with toilet and showers. The Balinese flair completes the ideal environment for your dive training. 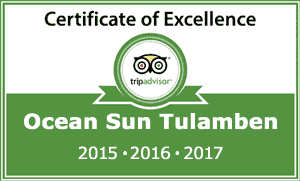 Our resort follows the SSI guidelines and standards. We already had the desire to train instructors during the planning of the resort. Therefore, during construction we paid attention to details that offer an ideal environment for such programs. A room with multimedia equipment gives us perfect conditions for your theory presentations. A deep pool and one of the best dive areas in the world are a prime environment for presentations in the water.A fast Wi-Fi connection is available throughout the resort and we can use all digital content from SSI. Not to forget the garden and the Balinese flair which creates a relaxed atmosphere. Our instructors have many years of experience and are happy to prove this in an intensive training. 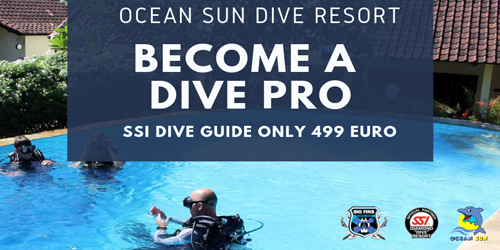 With precise and logical explanations about diving and the SSI philosophy, they convey important theoretical knowledge. 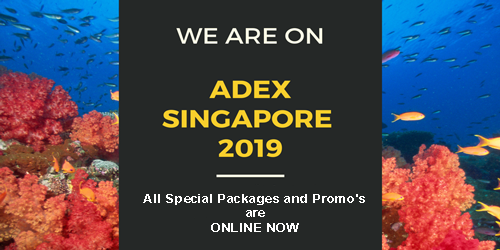 In addition to the well-known Instructor Training Course (ITC), Specialty Seminars, Crossover and DiveCon Instructor courses are possible according to SSI guidelines and standards.